Kentucky Warblers are pretty New World birds. These migratory cuties can be recognized by their yellow and olive-green plumage and their unique facial pattern. You can customize this gift! Move the bird around, change the product color or style, add text or images -- make it your own! If you'd like to see this Birdorable bird on a different product not currently available, please send us a message and we can make the product available in our store. 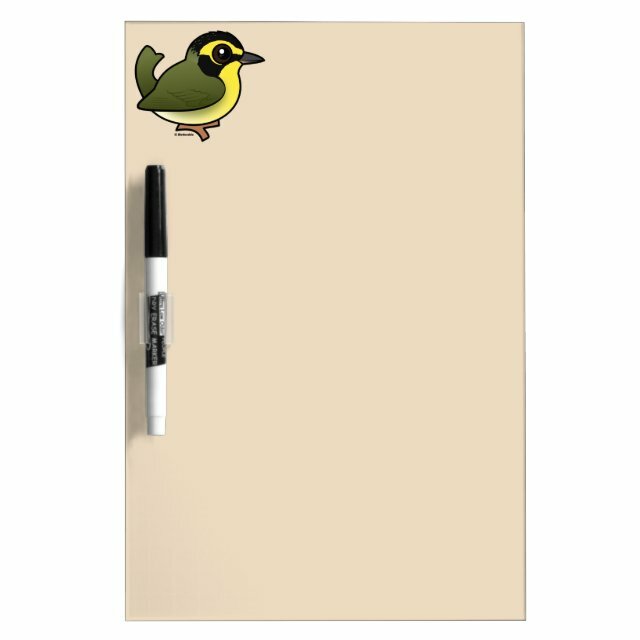 Add this to your to-do list: Get a great custom dry-erase board from Zazzle! Vibrantly printed using the AcryliPrint HD process, you can customize this dry-erase board with any photos, artwork, or text to create more... a board as unique as you. Featured in three sizes, this dry-erase board is the perfect fit for the kitchen, office, school locker, or college dorm room.